By Tyler McKay, MS4, University of Washington School of Medicine. 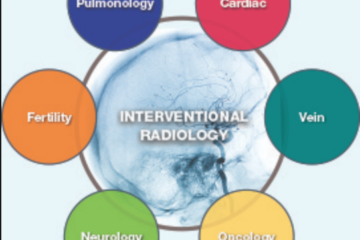 Research in Interventional Radiology is very active and offers a wealth of opportunities for medical students. The diverse nature of IR practice offers a wide spectrum of research topics, including trauma, oncology, GI, etc. The field actively participates in all levels of research from benchtop laboratory projects to large multicenter randomized clinical trials. Having successfully navigated the world of IR research, resulting in a Society of Interventional Radiology Foundation Summer Internship in 2013, a Dr. Constantin Cope Medical Student Research Award, and a recent first-author publication in the Journal of Vascular and Interventional Radiology, I wanted to pass along a few pieces of advice for students wanting to get involved in IR research. There are numerous ways to go about finding a research project. If your institution has an active IR department, chances are the faculty have ideas for projects, or projects already underway that a medical student can help with. A quick email to the faculty members expressing your interest and inquiring about research projects can go a long way. Alternatively, many IR departments and IR interest groups keep list of ongoing research projects in the department. Ask your school’s IR interest group if they have a project list or know of any faculty looking for student help. The best way to identify a faculty mentor for a research project is to show your interest in the field. Shadowing IR faculty, attending lectures, or even stopping by the reading room lets everyone know that your interest can be taken seriously. Asking questions can often inspire a project all on its own. If you’re looking for a more structured research opportunity, the SIR Foundation sponsors a 10 week summer research internship. This internship gives the selected students a paid research experience in either academia or industry. Applications are typically available online in February and due in March; see the link below for more details. Note that this internship is highly competitive and requires a letter of recommendation from IR faculty, another reason to get to know the faculty at your institution. Depending on your timeline, different projects are more suitable than others. Basic science and laboratory projects can take a significant amount of time to produce results. Therefore, these projects are not well suited for senior students getting ready to match into residency. For first and second year students, basic science projects can be a great way to develop a strong relationship with faculty. For students with less time before graduation, retrospective chart review is a better choice. They are relatively straightforward, can be completed quickly, and nicely accompany the skills in clinical medicine that are emphasized in medical school. These projects are great for students trying to buff up their CV in time for residency applications. The need for research funding depends on the type of project and need for student stipends. Most of the time research projects are ongoing during the year, and the student’s living expenses are covered by other means (loans, scholarships, etc.). If you are planning on taking off dedicated research time, there are several grant opportunities available to medical students. The Radiological Society of North America offers a 10 week, $3000 research grant (plus another $3000 from the sponsoring department). 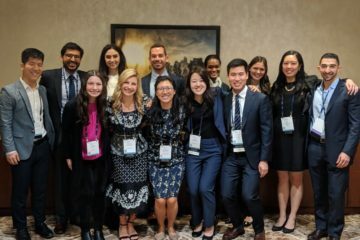 For students completing a summer research project, the Society of Interventional Radiology Foundation offers student research grants, as described above. If you are participating in a basic science project that has associated research expenses, the faculty will likely already have funding for these expenses. If you are considering taking a year off to complete a research project, there are several funding opportunities available. 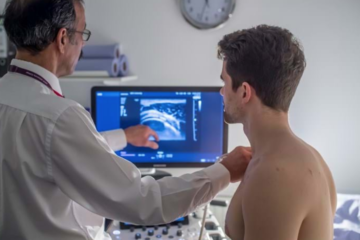 The Howard Hughes Medical Institute has partnered with the Society of Interventional Radiology Foundation to offer a one-year research grant for students pursuing basic science or translational projects. The goal of every research project is to share your findings, meaning you need to publish your results. Research without publication is like training for a marathon but deciding not to run the race. This doesn’t necessarily mean that you need to be the first author of a peer-reviewed journal (although that certainly wouldn’t hurt). Publications include abstracts, posters, and oral presentations as well as manuscripts. The easiest publication to complete is an abstract. These one-page project summaries can be completed in a few hours and serve as a foundation for most other types of publications. If you are planning on submitting your research to a conference for a poster or oral presentation, they will likely require you to submit an abstract. Posters are a graphical version of your abstract, and oral presentations a powerpoint version. When it comes time to write the manuscript, the abstract will help organize your writing. Your mentor will be tremendously valuable in the publication phase of your project. SIR has special sessions and awards for medical student abstracts submitted to the annual meeting. The journey from identifying a project to a publication can be unpredictable and laborious, but full of rewards and valuable learning opportunities. As you gain more experience in research, you’ll see that the process gets much easier as you become more familiar. This skill will become vital for anyone interested in a career in academic medicine. Best of luck with your projects and I look forward to seeing your posters and manuscripts in the future.